Sonoluce for Zava is versatile and easy to use, perfect as a table-top, wall or suspension lamp; a lamp “made of light”, a boundary that protects without screening the light behind a classic shade. 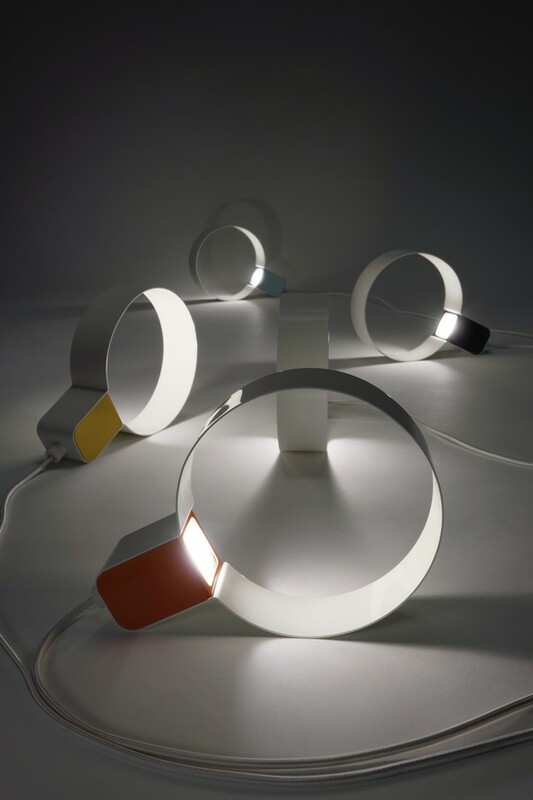 Sonoluce is a thin white circle, to maintain the purity of light without the “contamination” of colour, while its appendix, a technical element underlined by use of colour, permits insertion of the light source and power cable. 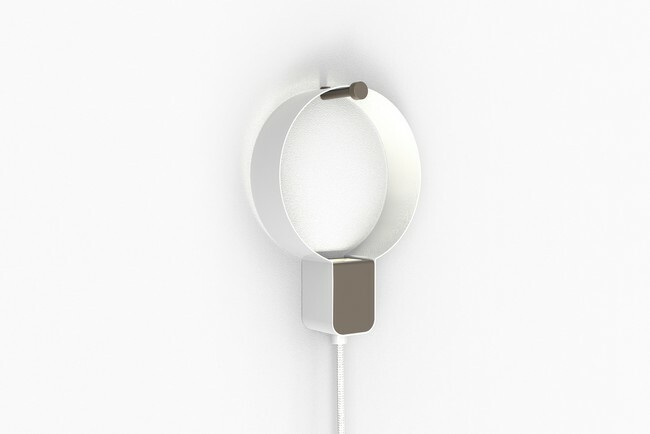 Sonoluce suspension, like a moonlight. 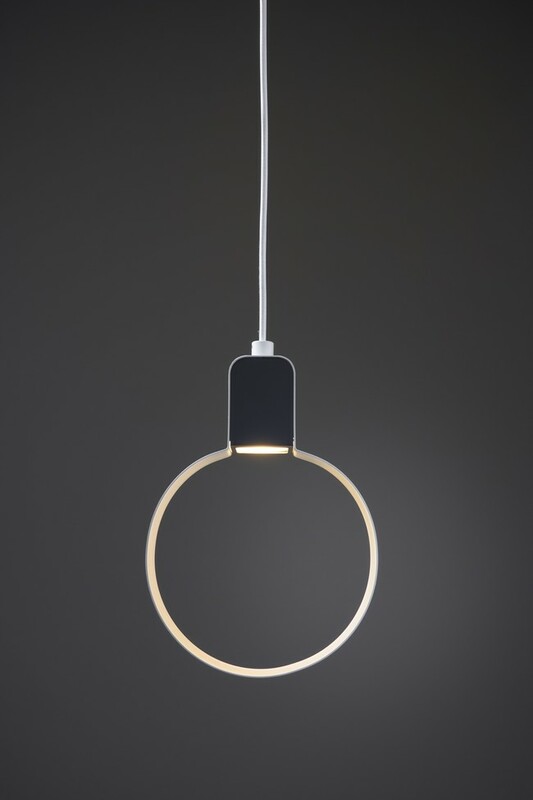 Sonoluce suspension is a thin white circle. 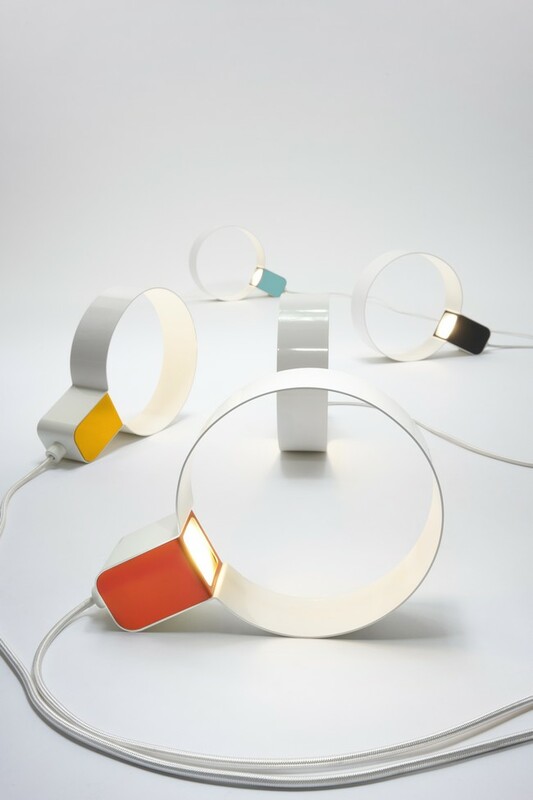 Sonoluce table version in various colours. Sonoluce table version in the dark. Sonoluce wall version in warm grey. 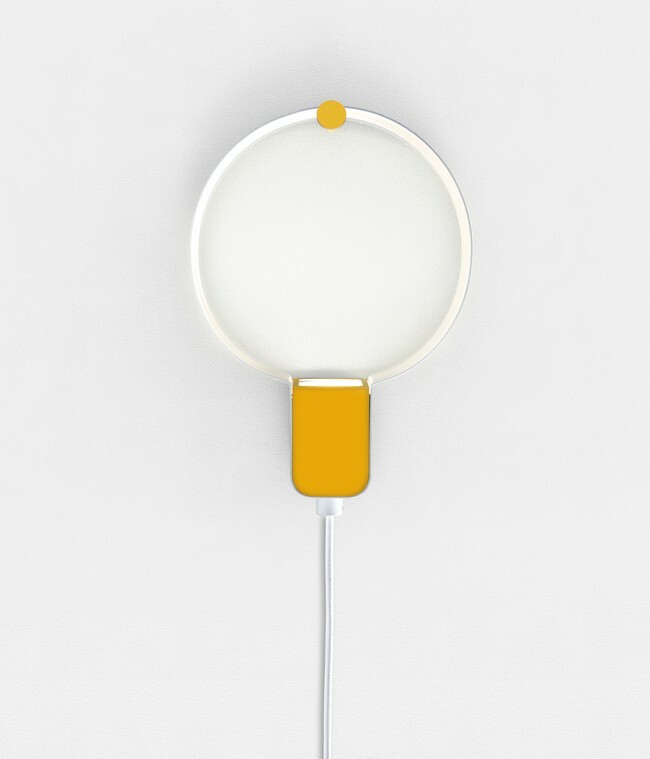 Sonoluce wall version in yellow, with the hook in the same colour.